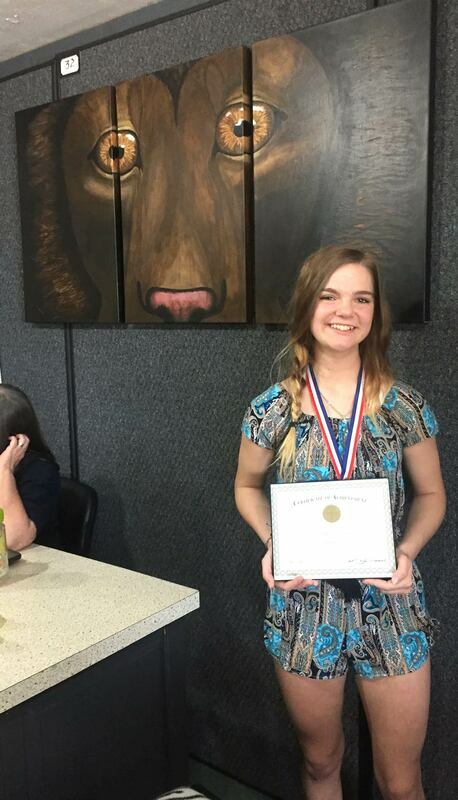 On April 7, 2019, Table Rock Art Guild named Galena High School senior Carlie Holmes as one of the recipients of their Maida Fannin Art Scholarship. Holmes is pictured above with one of her pieces of art on the wall behind her. Carlie Holmes was recommended by her art teacher, Brooke Villa, for the scholarship, which is open to seniors from high schools in Stone County. The scholarship is worth $500. Her artwork will be on display at the Table Rock Art Gallery until April 24.